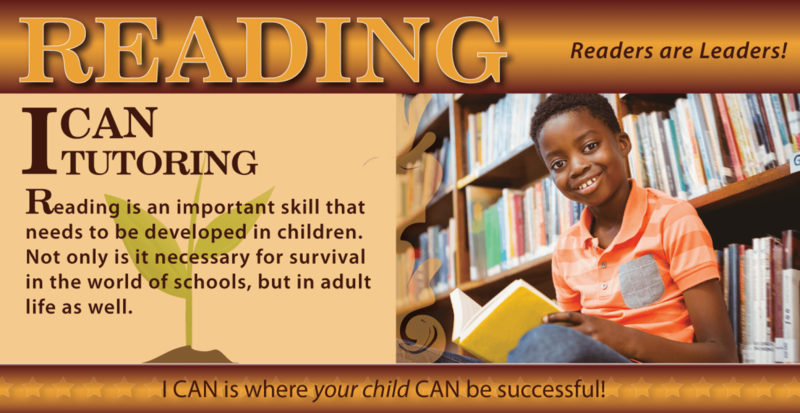 Get your child the help he or she needs to come up to grade level and be prepared for standardized test, do well in school, and have a life-long love of reading. 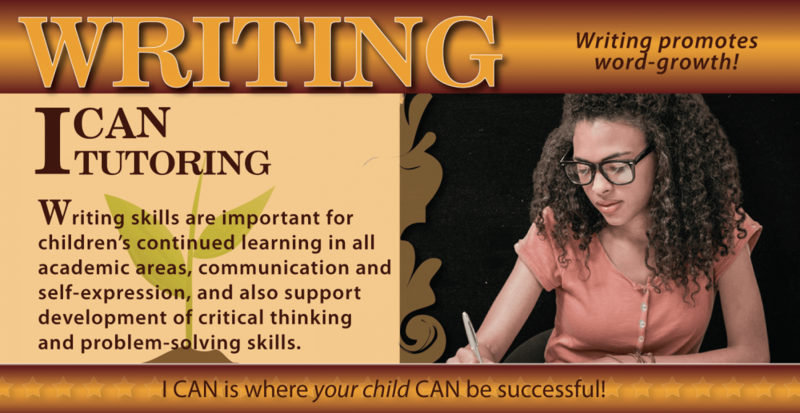 Help your child learn writing skills that will help him or her become great communicators. In writing, we will focus on grammar, punctuation, and the writing process. For younger students, we will also focus on penmanship. 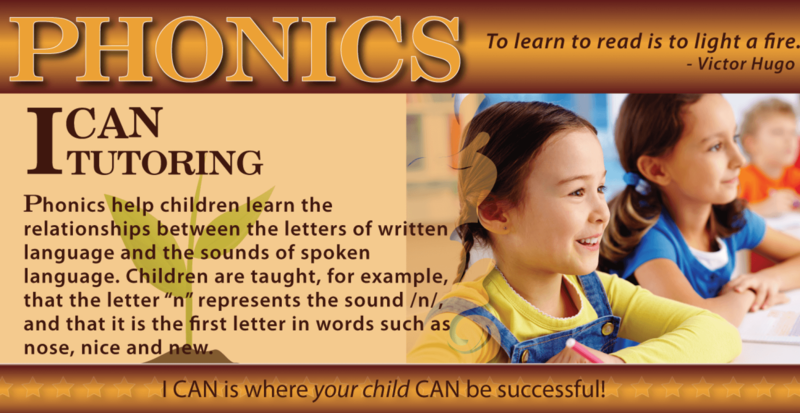 Get your child off to a great start in phonics and early reading skills that will prepare them for kindergarten. I CAN blog is where parents can find ideas, tips, and strategies on a variety of timely educational and parenting topics. This blog is a source of valuable information that you can use to help your child be successful in school. Online tutoring is very convenient and flexible. It eliminates travel time, the stress of traffic, and the cost of fuel. The convenience of being able to meet with a tutor without even leaving your house makes it easy for parents who have a very business schedule. Register your child today and start your journey to success! Registration is simple. Just complete the online form. Register today to reserve a place for your child to learn and grow! 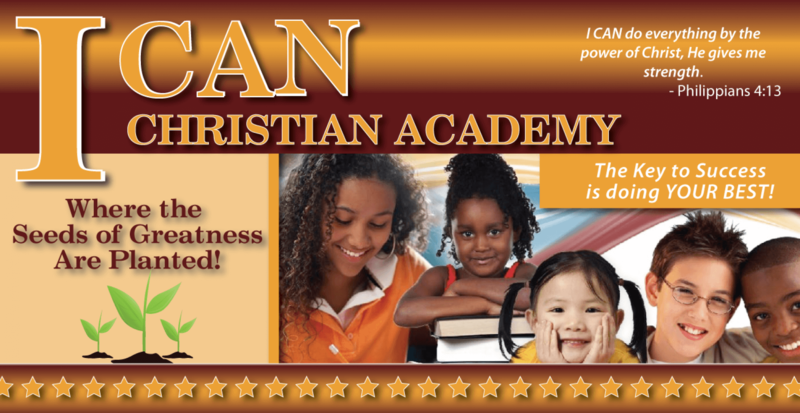 Receive important information and updates from I CAN Christian Learning Academy!